Last time we discussed social media, I handed out superlatives to a few of the more prevalent sites and discussed some best practices. 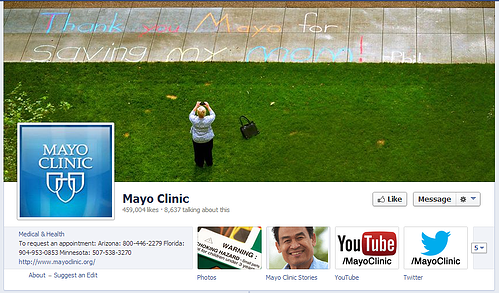 Today, we’re going to shine our social media spotlight on one particular organization: Mayo Clinic. We’ll look at what they’re doing, how they’re doing it, and how well it’s working. Perhaps the most impressive aspect of Mayo Clinic’s social media endeavors is that they’ve started their very own social media education center. 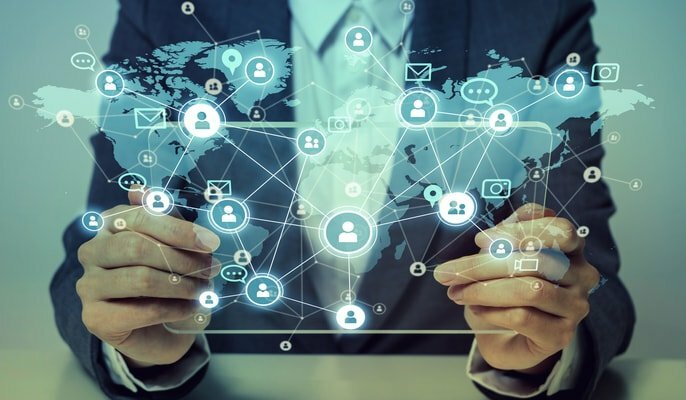 The center lists its mission as, “Lead the social media revolution for health care, contributing to health and well being for people everywhere.” Sounds pretty good, right? Well, they’re off to a good start. According to the stats the center lists, not only do they boast severalblogs, but they also have the current most popular medical provider YouTube channel, over 580,000 Twitter followers, and nearly 460,000 Facebook “likes.” Surely they must be doing something right. Let’s break it down and take a closer look. That’s right, not one, not two, not even just three blogs—Mayo Clinic has six blogs, all designed for different purposes. 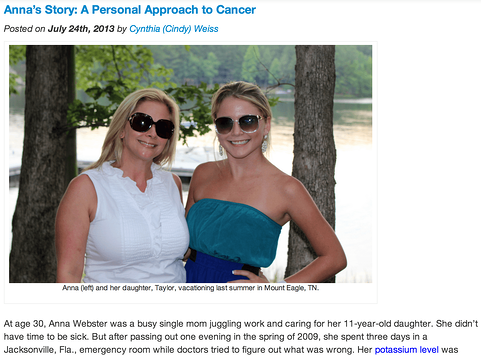 Next, there are two patient driven blogs: Sharing Mayo Clinic and Mayo Clinic Podcast Blog. Designed for patients to share their stores or listen to conversations about various conditions, these blogs work toward fostering sense of community. Advancing the Science, described as Mayo Clinic’s medical science blog is where readers can go to catch up on research being done at the clinic. Even the students at Mayo Clinic are in on the blogging frenzy. They keep a Diversity in Education blog that details the educational opportunities and experiences offered at Mayo Clinic. 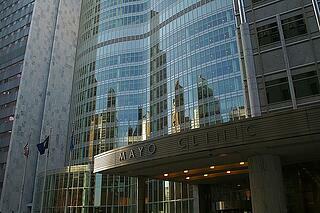 Finally, the Mayo Clinic Center for Innovation blog looks to the future of healthcare and innovations on the horizon. 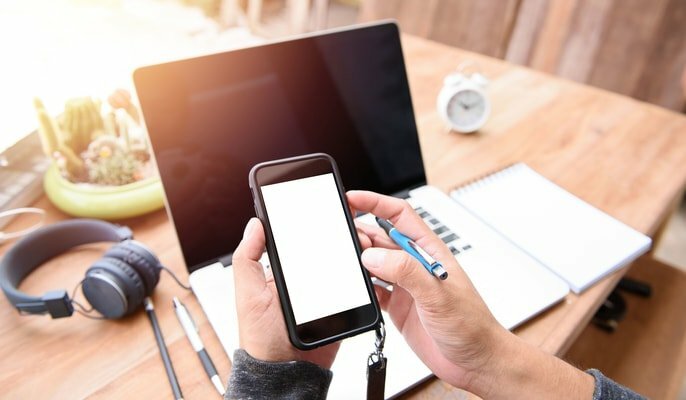 Why the need for so many blogs? Well, with such a diverse readership, Mayo Clinic has gone the extra mile to ensure each special interest has representation and can participate actively in the community established by the blogs and their readership. 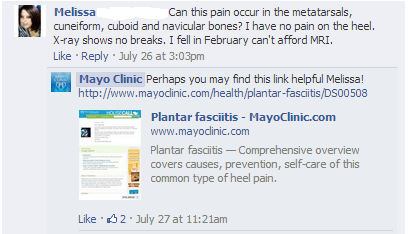 By making their Facebook page an accessible space with a wide variety of information, Mayo Clinic reinforces their reputation as a place of help and reliability. And with 459,007 (and climbing daily) likes, it seems to be working. 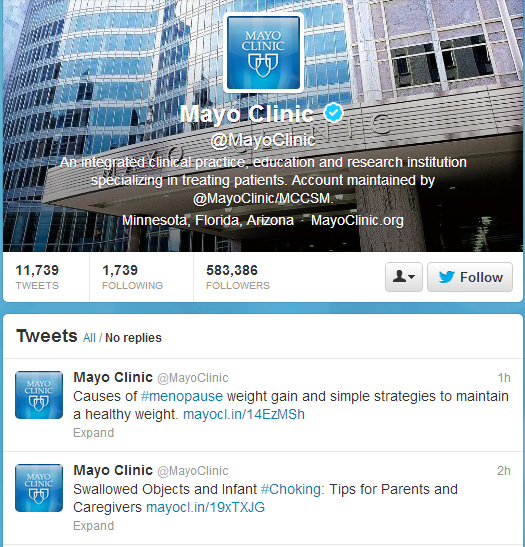 Similar to their Facebook page, Mayo Clinic’s Twitter account is very active and plays to a wide variety of interests. New tweets are posted frequently—for instance, today a new tweet was posted every hour for eleven hours straight. 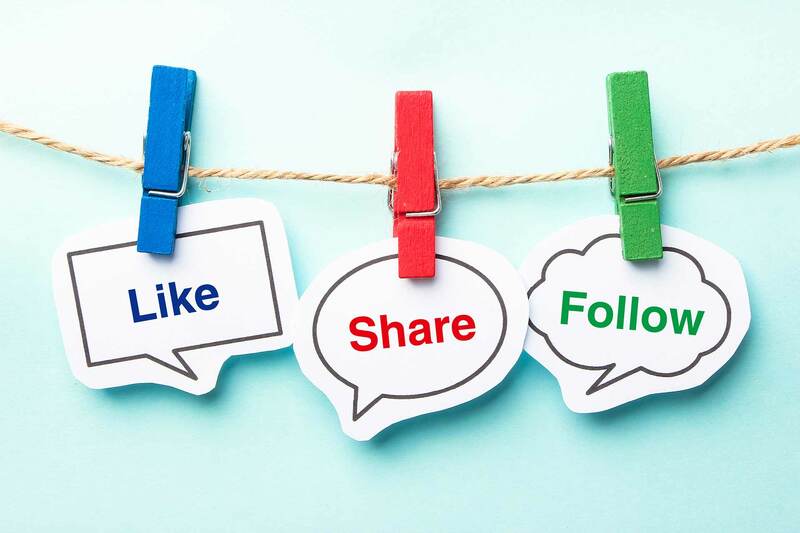 Whether it is promoting blog posts, offering health tips, or answering questions tweeted in from followers, Mayo Clinic’s twitter account serves as another great access point for patrons. 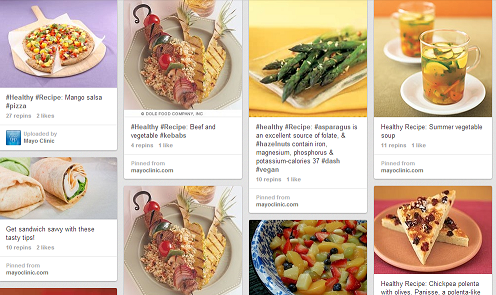 Mayo Clinic’s efforts on Pinterest are just another example of how they are using social media to reach a wide audience with a variety of needs and interests. And it doesn’t stop there. Check out their YouTube Channel that has videos for how to manage Celiac’s Disease and an overview on hip surgery. You can also find them on Google+ where over 23,000 people have them in their circles.